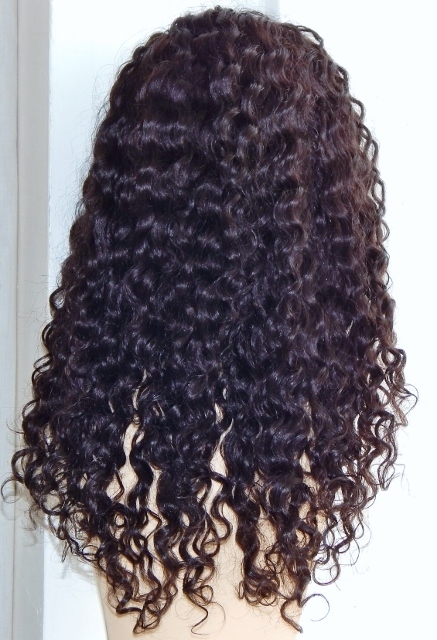 Full Lace Wigs, 18" Deep Wave - The Della Dark Brown Look - 100% Remy Hair. 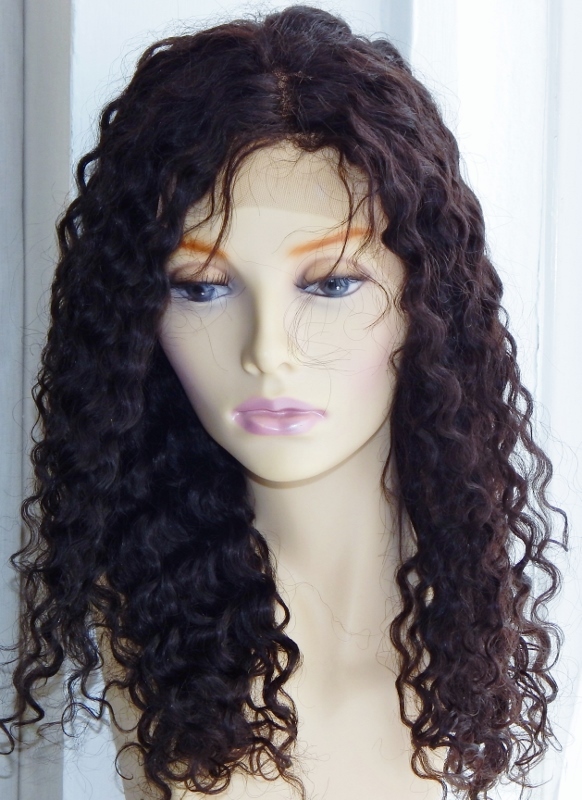 The Della Deep Wave look is a great look for lace wigs. If you're looking for something that is close to a curl but without the spiral feature of a curly lace wig, then this is the texture for you. It's a really manageable and stylish texture which keeps its texture after washing. The Deep Wave texture is a subtly glamorous lace wig. It has the feeling of being a celebrity lace wig as its fullness and texture have a luxurious chic feeling. It’s a wavy texture without a curl in sight so great for those who want something with more texture than a body wave but without moving into curl territory. As it’s a human hair wig, you can get your curling iron out and curl it up or get your flat iron and make it super straight - just wash for the texture to return! The cap construction of these full lace wigs means they’re adaptable. The ear to ear stretch makes it a great cap whether you have growth hair or not and, the colour, suits all skin tones. As it’s 18 inches those with rectangular/oblong faces will delight in the waves which add width to the face and of course, those with round, heart and square faces will have their features balanced as the length reaches past the jawline.